Exclusive Handmade Design for Barbie Doll. Inspired by the TV series of the 1960's 'Lost In Space' as shown in Season 3. 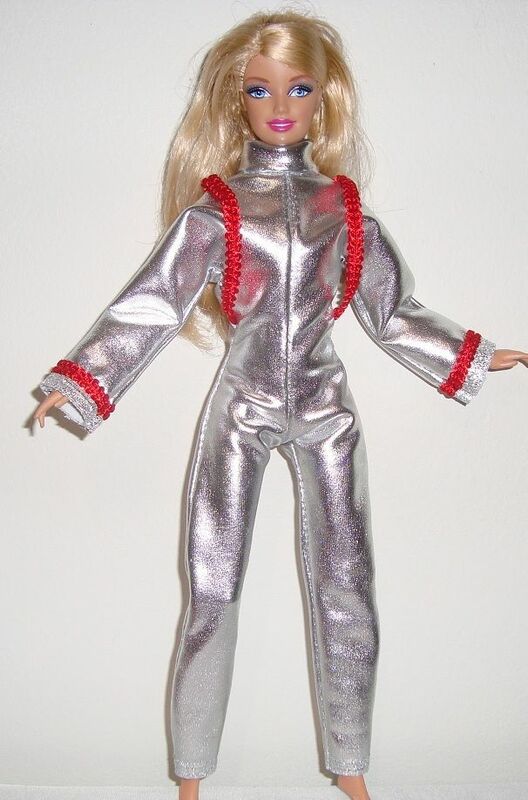 Long bodysuit made out of silver metallic fabric with red ribbon running from the shoulder seams to the sides of the suit. Closure in the back with velcro.